KATHMANDU, Feb 4: Though the National Medical Education Bill, which was recently approved from both houses of parliament, paves the way for new private medical colleges outside the Kathmandu Valley, Tribhuvan University (TU) and Kathmandu University (KU) are firm not to issue new affiliations in line with the new law due to their "limited capacity" to supervise the colleges affiliated to them. 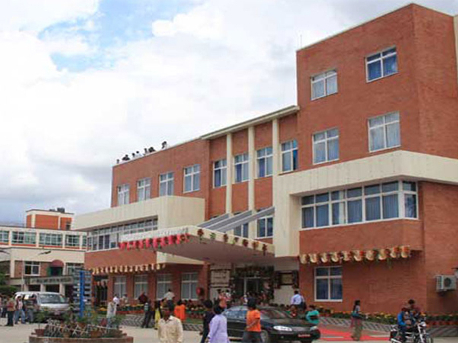 The bill which does not allow anyone to open private medical colleges in the Kathmandu Valley for 10 years, has permitted those who have already received letters of intent (LOIs) issued by KU or TU to open medical colleges outside the Valley. It is learnt that there are 16 proposed colleges including B&C owned by Durga Prasad Prasai and Manmohan Medical College owned by leaders and cadres of the ruling party that have already received LOIs from the Ministry of Education, Science and Technology. According to the newly endorsed bill which is yet to be authenticated by the president, a university can issue affiliations to only five private medical colleges. However, TU and KU both have already issued affiliations to seven private medical colleges each under political pressure. Both TU and KU have said that two 'extra' medical colleges are an overburden to supervise, check and maintain the quality properly due to the limited capacities of the universities. “It has been very difficult to monitor and regulate them properly as we cannot supervise more than five medical colleges,” said Prof Dr JP Agrawal, dean at the Institute of Medicine (IOM) under the TU. “Even though the new law allows opening new medical colleges outside the Kathmandu Valley, we are unable to issue new affiliations even to a single medical college despite the government's pressure,” he added. 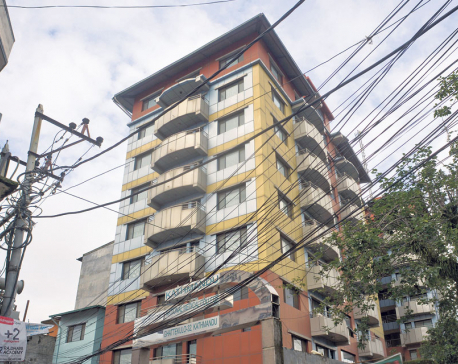 “Our capacity is limited and it's beyond our control to issue new affiliations to more private colleges,” said Dr Rajendra Koju, dean at Kathmandu University School of Medical Sciences. According to the National Medical Education Bill, the Medical Education Commission to be formed under the new law will decide whether to get new affiliations issued from the old universities or seek alternate universities for it. “I hope the commission will comprise medical experts who will not recommend us to issue new affiliations,” said Dr Koju. “I prefer the government to open new medical university or promote Purbanchal University or other options for issuing new affiliations to new private medical colleges,” he added. Dr Govinda KC, senior orthopedic surgeon and professor at the IOM, staged a 24-day long fast-unto-death that ended on February 1, demanding that the government correct the provision of allowing the LOI-holders to open medical colleges outside the Kathmandu Valley, opening government medical colleges in all seven provinces and bring the health programs of the Council for Technical Education and Vocational Training under the National Medical Education Bill. However, the bill was approved without addressing the demands of Dr KC and not implementing the agreement signed on July 26, 2018 between Dr KC and the government led by KP Sharma Oli. Will medical colleges return illegal fees?